At Male Extravaganza we love and value books, and we are true believers that books can really shape your life. 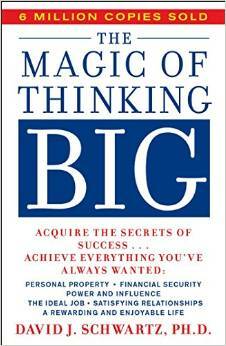 It’s widely known that a simple idea in one book can actually change your life and expose you to new possibilities. Also, we are in the business of inspiring people by anything and everything we do, be it through style, care for your body, healthy living, a healthy lifestyle or business success. It’s been said for centuries that “Readers are Leaders” (or the other way around), so in order to create a better world, to be able to inspire through our leadership sense, we need to constantly read and develop ourselves. Below is a selection of the finest books on personal development, leadership, law of attraction, success, happiness, relationships, awareness and truly everything that can contribute to long-term happiness. If you are anything like me, the first thought that will come to your mind would be “how can this possibly make me happier?”. 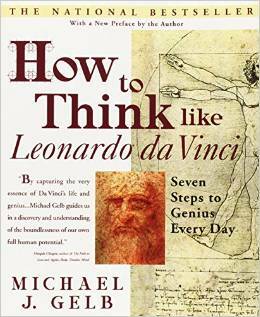 Well, I never thought I’d fall in love with this book that easy, but it’s one of the best books I’ve read so far because it constantly gives you more and more possibilities through the examples set by Leonardo. It expands your reality like no other book and it makes you believe (if you are open) that you can actually become an expert as well even in more than just one field of activity. Probably the best part about this book is that it has exercises that you can do right away to become more centered, to deal with anxiety, to live life at its fullest, to become more teachable, to become more successful and many more. Did I mention that at the end of the books it also teaches you how to draw?! 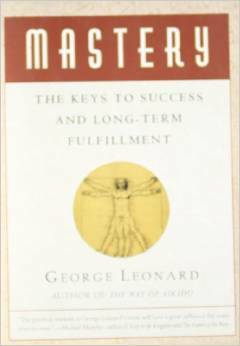 A classic and most probably the first book that you should read if you’re just starting out reading self-development and law of attraction books. 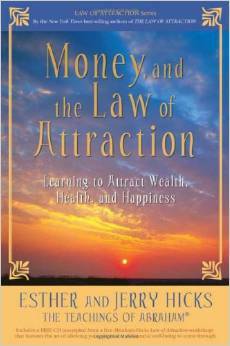 It goes into a lot of details about the law of attraction and all the different values that a successful person has. 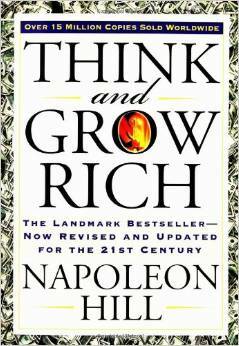 Think and Grow Rich is also one of the first books to expose the power of the human mind and how to use it in order to be, do or have anything that you want. A must read! Another classic and it should have a top place on your must-read list! Dr Schwartz goes into detail about how by thinking a certain way you can change everything in your life (for better): your career, your relationships, your financial status, your health, everything. He also proves that you do not have to be a genius or to have innate talent to become successful and to live your dreams. Abraham is an entity that shares knowledge through Esther about the law of attraction, about the planet earth, life, universe, how to be happy and much more. Read the books and see if you resonate with any of the ideas presented. Another great read by them is “Ask and It Is Given”. 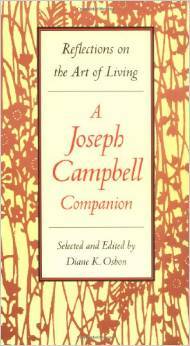 Joseph Campbell was an American author and teacher born in New York City in 1904. Some people say that this is one of the most challenging, thought-provoking books ever written and they might be just true, especially if you look at just the first sentence: “The privilege of a lifetime is being who you are”. It is that kind of book that you can actually open at any page and get something valuable from it. A books that deserves to be read and re-read every few years. It’s no secret that in order to build a business or to become successful you need to first build your network, to go out and meet people and eventually see how you can help them. This book is just for that and it goes into great detail about techniques you can master when you deal with people or how to get people to like you. Sounds interesting? Get the book! 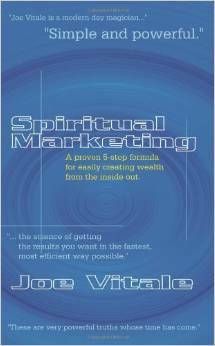 “Spiritual Marketing” is the easiest book you can possibly read on the subject of “Law of Attraction” – you can easily finish it on a Sunday afternoon. What I like the most about this book is that it gives you a lot of examples and stories that make you believe more in yourself. It also talks about how our beliefs shape our life and how they can push us forward or hold us back. It pays off even if you read it just for the part where he talks about how to become more aware of what you think and believe. 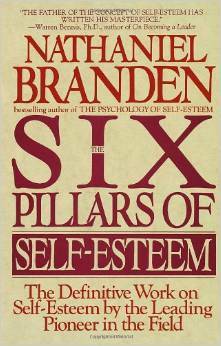 Nathaniel Branden was a psychotherapist and writer, one of the first people to talk about the importance of self-esteem and definitely one of my favorite people. This book is a practical guide on the important of self-esteem in a man’s life and how the level of self-esteem will dictate your future and all the decisions that you will make. One of the exercises in the book is “unfinished sentences” that you have to write down every day and will give you a larger view of your life, your struggles and what you need to change in order to raise your self-esteem and become happier. 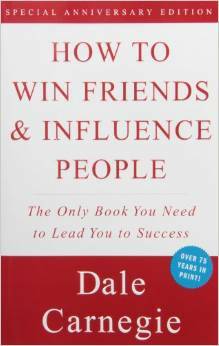 A must read and I can’t tell how much this book has helped me move forward. 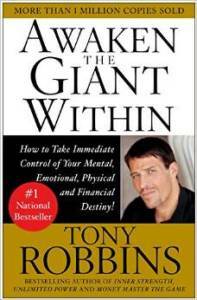 If you’ve never heard of Tony Robbins means you definitely need to start working on yourself! Tony is a life coach and self-help author that has some of the most exciting seminars all over the world. You actually have to walk on hot coal and even Oprah did it a few years ago. This book deals a lot with “why we do what we do” (also has a nice video on TED about the subject) and encourage us to discover our deepest values and work with them. George Leonard’s expertise comes from the study of Zen philosophy and from his practice of aikido martial arts. He talks about following with a certain practice just for the sake of doing it and how important it is to keep your mind in the practice in order to experience it at its fullest. He says that by doing so, you will get a greater sense of satisfaction and fulfillment in our everyday lives. 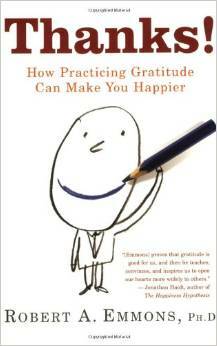 Robert Emmons examines what it actually means to think positively and how it can impact your overall happiness level. This book also gives you actionable advice on what can you do right now to become more contempt with your life and accept it as it is. Gratitude means to be thankful for what you have in the process of getting more, not to accept what you have and not want more. A simple exercise like writing down 5 things you’re grateful for every morning can improve your happiness by 20% in about 60 days. Why not try it? 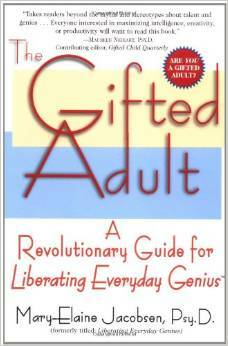 Not as famous as “Emotional Intelligence”, this extraordinary book by Mary-Elaine Jacobsen will guide you through understanding your true potential and will teach you how to stop sabotaging yourself and your success. 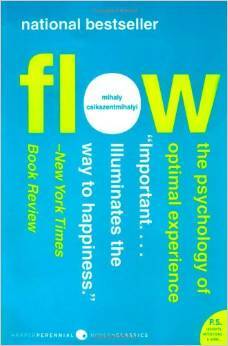 Mihaly Csikszentmihaly is best known for his work in the field of happiness and creativity. He also introduced us to a new state of consciousness called “flow”. When you are in this particular state everything feels like magic. Learn how to enter the state by reading the book! Ruseell Simmons is an American music magnate in the hip-hop industry and founded a music label and several clothing fashion lines. With an estimate net worth of $340 million in 2011, Russell definitely knows what he’s talking about. 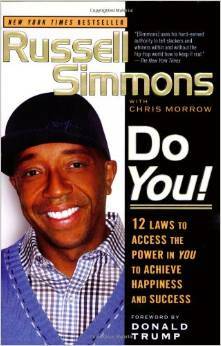 In the book, Russell talks about the 12 laws that helped him achieve great success and happiness. The main law of his teachings is that it’s impossible to achieve any lasting success of you don’t give something of value first. His vision will motivate you to pursue your dreams for sure! 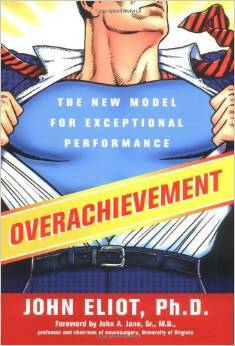 In this day and age, this book should be on every corporate employee’s desk because it talks about how to thrive on pressure and become even more successful in spite of it. John Eliot tells you why relaxation, stress management and other techniques won’t work for most people and what to do instead. Success is awesome, wealth is amazing, but if you don’t have love you’re truly missing out. 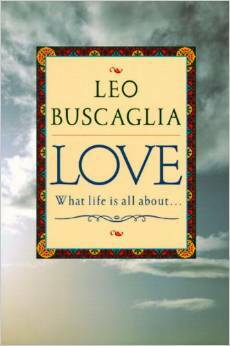 This is one of the kindest books you will ever read that will soften your heart and open your soul to love: yourself, your family, your friend, strangers and even people you don’t like. It teaches compassion and, if you ask me, should be the most important gift you give to a new married couple! Perfect for people that have a startup or what to launch their own company anytime soon. Eric is not a big fan of business plans and in turn will give you ideas on how you can test your vision continuously and adapt before it’s too late. 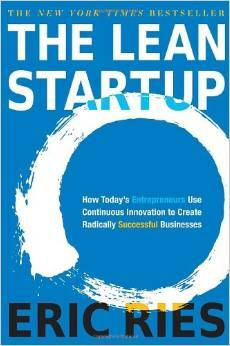 This book will teach you how to run successful businesses in an age when entrepreneurs need to innovate more and more. Tim Ferriss is a nonconformist in the way he thinks and lives his life. He is on a constant search for ways to hack your life, to find new ways of doing certain activities and to experience as much as he can. 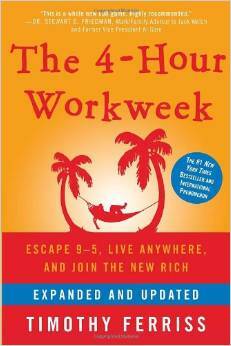 Read the book to learn how you can hack your way to a wealthier lifestyle with as little as 4 hours of work every week!